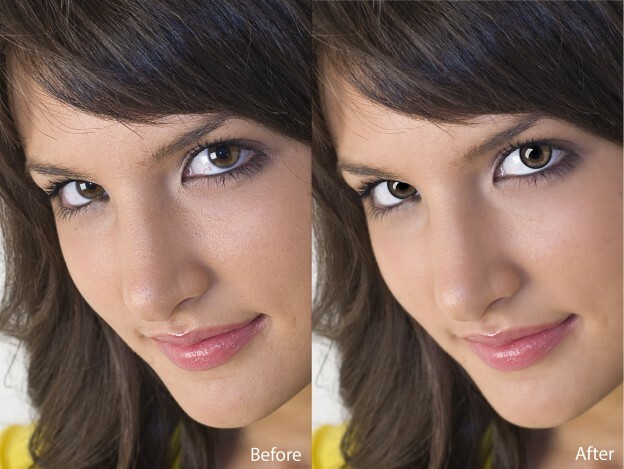 Photo retouching is a technique that helps enhancing a photograph and makes it suitable for any commercial use. Most of the photos retouching tricks are employed main point of appeal to make a picture sell well. Any product image or model with products displayed on them is made to look appealing with photo retouching. There are many tricks that goes along to make a good retouched photo. For example: color correction, background removal and changing, removing or editing apart of the photo, adding shadows or reflection are a part of good photo retouching. Anyone who wants to enhance and perk up the important features of their portrait would choose photo retouching as an immediate deliverance. Apart from regular color corrections and light adjustments, photo retouching has got a lot of interesting stuffs that will take photography to the next level of sophistication. If you are beginner in photography and photo retouching, we would like you to read through our other blog entries to have a basic idea. If you are already an expert in this field, we would like you to add your points in the comments section and also share this post for other to learn from it. How natural are shadows? If you stand in a place where a light source falls on you, you will automatically cast a shadow. This is not just with living things, but also applies to all matters in the universe. Anything that has physical structure and faces light rays will cast shadows under them and it gives a realistic feel. Now, how can one avoid such a natural part of the universe in product image photography or any such photography techniques? How wise is it to have realistic shadows and reflections as a part of photo retouching? When an image is shown with realistic look, it is important that we follow all basic rules that will fulfill the criteria. For instance, will product image photography of a wrist watch look real without a shadow effect form photo retouching? If the shadow or refection is not given for the wrist watch, it might look as if the object is left suspended in the air or is just floating. There are diverse tools and techniques that experts follow to get such photo retouching effects. The basic technique of bringing a shadow under an object starts by duplicating the image layer, then working on the color of the duplicated layer.